The Northern Area point-to-point season continues on Sunday April 17th with the Braes of Derwent fixture at the Downhills course near Corbridge. As usual, it offers the year's top prize money with a total of £2500 on offer, and a minimum first prize of £200. It has attracted 134 entries on a seven race card starting at 1.30pm, and will be followed by two pony races. Admission is only £8 per person, with racecards available for £2 each. Farriers Flight got off the mark on his reappearance at Alnwick in January, and supplemented that effort at Hutton Rudby last month. Kate Leckenby's mount seems to appreciate better ground and can land his third success of the campaign in the Douglas Chapman Memorial Braes of Derwent Members Race at the main expense of the Russell Ross-trained duo, Hubble Bubble (left) and Bishops Ploy. The Baileys Horse Feeds Intermediate Race has 23 entries and my shortlist comprises Dark Moon (right), Oojar and Definite Appeal. 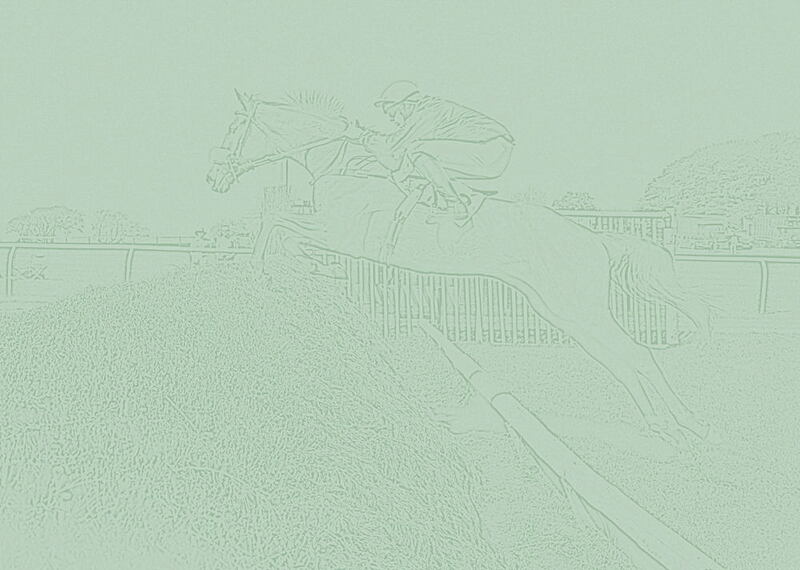 The former took a Sheriff Hutton Restricted contest on January 30th and subsequently found only one too good in the South Wold Intermediate, while Reg Makin's progressive South Wold Maiden scorer, Oojar followed up in the sixteen runner Holcombe Restricted a fortnight ago. The dark horse is Definite Appeal, who was runner-up in an Irish Open on March 20th, and the following week finished 4th of 12 in a Downpatrick Maiden Hunters' Chase. Gunner Jack (left), an impressive winner at Friars Haugh and Corbridge earlier in the season, is the one to beat in the Northern Plastic Surgery Associates Men's Open Race. Sent off favourite for the coveted 4 mile 1 furlong Grimthorpe Gold Cup last time out, his supporters were soon tearing up their tickets as he was brought down at the seventh. He deserves a change of fortune and can resume winning ways from Indian Print and Lord Who. The 21 Dr Syntax Inn Ladies Open Race entries are headed by Keeverfield (right) and Sea Scout, who finished in that order over a longer trip at the Tynedale fixture. Sea Scout subsequently showed his liking for a test of stamina and soft ground when making all at Whittington a fortnight ago and could reverse placings if underfoot conditions are in his favour. In the absence of the aforementioned pair, the business end of proceedings may chiefly concern Tiger Billy and Delfinia. Several of this season's Maiden winners are set to cross swords in the Tyne Valley Plastics Restricted Race which has 19 entries. Baligha failed by a neck to peg back Knocknaboul King at Kelso last time out, Maura My Love seems to prefer a sound surface, Paint Me Silver usually runs well here, while ex-hurdler, Tyrrhenian (left) scored with plenty in hand at Tranwell last Sunday. Rennington Blue (right)and Watch The Wind have been knocking at the door in recent starts and should be on the premises again in the 3 mile Tow Law Open Maiden Race for 6 year olds and over. Others to consider are the lightly raced duo, Trianconi and One Black Cat. The concluding 3 mile USL Group Open Maiden Race for 4, 5, 6 and 7year olds has 23 entries. Its Bobkat (left) has been placed on his last two starts and, with more to come, must go close with a clear round. The lightly raced Toppa The Morning showed a degree of promise at Alnwick and Kelso, and could take a hand in the finish, while Hathamore, a second fence faller at Kelso last time, also merits respect.